The 5T drum stand will accommodate cable or rope drums up to a diameter of 3.4m (without chocking). 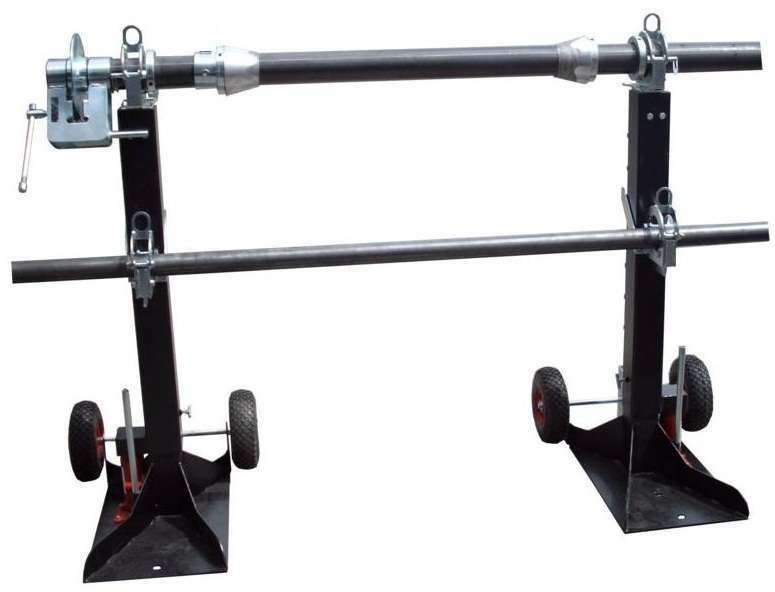 The unit is supplied as 2 x end frame supports with bearings, hydraulic drum jack & a 60mm – 90mm Shaft. The unit is fitted with wheel for ease of positioning.